Dr. Caldicott chats with Phil Radford, the Executive Director of Greenpeace USA, about environmental activism and many other issues. 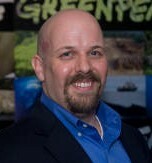 For six years, Radford was Greenpeace USA’s Grassroots Director. During that time, he created a $9 million Grassroots Program which greatly expanded Greenpeace USA’s on-line, grass-roots and student organizing and training, as well as street and door-to-door canvassing. Recent corporate targets of Greenpeace campaigns include Kimberly-Clark, a major tree cutter, and ExxonMobil, a major polluter and global-warming denier. Greenpeace is largely sustained by hundreds of thousands of small monthly donations. Radford earned a Bachelor degree from Washington University in St. Louis in 1998, and holds a certificate in Non-profit Management from Georgetown University. This entry was posted on Monday, May 31st, 2010 at 12:00 am	and is filed under Uncategorized. You can follow any responses to this entry through the RSS 2.0 feed. Both comments and pings are currently closed.